Home » How To Select Best Online School Management Software? With many online school management software available in the market today and everybody claiming theirs to be the best, how would you choose the best school management software for your school? School management software generally offers the core capabilities like admissions, academics, scheduling, transport, fee collections etc. However, the requirements of schools differ from one another be it big or small. For a larger educational institution like an International school, the needs tend to be complex than other schools. An International school requires a customizable platform that easily integrates with the school’s operating system. MyClassboard constitutes perfect school management software that fits the platform for all CBSE, SSC, ICSE, IB AND IGCSE schools. When it comes to selecting the best online school management software these are the necessary prerequisites it should have. 1) Flexibility: The main challenge in selecting the best online school management software is to check whether the software is technically feasible, i.e. whether the system is supplement to any changes or modifications or addition of any functionality. A school management software should be flexible enough to fit the system and it should easily adapt to the changes in the school. It should match the requirements of school processes as each school has its own process. Choose the software that can be seamlessly integrated with your existing system. 2) Reliability: It is very important to go for a management software that is reliable i.e, it should be a tested and most trusted software. It is always recommended to prepare an analysis of the reliability of the product, how long the software is being used by other schools and if it has been able to foster the needs of the system during critical periods. It has to be made sure that the software works for long years with a consistency in its effective performance. 3) Accessibility: A school management software has to be web-based and customizable, easily accessible by everyone 24×7 from anywhere through own devices like Mobiles, Tablets, iPads. The software should be effective enough that it can be accessed offline and necessarily not depend on the availability of the internet. 4) User-friendly: Not all school management software available in the market match the requirements of school processes as each school has its own process. Most of the school management software are difficult to learn and configure, hence it is important that best online school management software is intuitive and user-friendly. It should not require any technical knowledge to operate it and can be implemented in any institution easily. 5) Affordability: When you are to choose a software, it is very important to compare the features and price with the other software. Do not be simply overwhelmed if you are getting a software with all features at a cheaper price, rather compare the product and its efficiency with others before you take a call. The best school management software always comes at an affordable price simultaneously standing distinguished in its features. 6) Applications: A school management software should be integrated with mobile apps for students, parents, teachers and management. It should ensure smooth functioning of the day-to-day school operations. The best online school management software is the one that facilitates paperless administration in the school and increases the efficiency and performance through seamless automation and control. 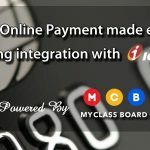 MyClassboard is the state-of-the-art web-based school management software built specially to meet the requirements of K-12 schools and automates the administrative process. With the above essentialities discussed and its various modules like admissions, academics, fee management, Scheduling, attendance management, HR and PayRoll, library management, transport management and others incorporated into its software, MyClassboard is the most widely trusted school management software catering to more than 1500 schools across India and North Eastern countries across the globe. Do you wish to have a demo of our software? Here’s how you can do it.